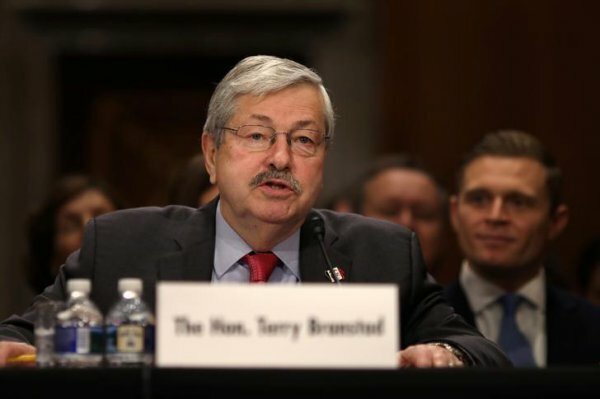 During the confirmation hearing of Mr Terry Branstad as the new U.S Ambassador to China, , the newly appointed diplomat expressed his deep concerns over of the human rights situation and lack of rule of law in Tibet. Mr Branstad committed himself to “call on China to provide meaningful autonomy for Tibetans and cease restrictions on Tibetan religious, linguistic, and cultural practices”. Accordingly, he highlighted the need to encourage and support the civil society organizations and human rights activists in China and in U.S as well. During the confirmation process of US Secretary of State, Mr. Rex Tillerson he also committed “to encourage dialogue between Beijing and representatives of Tibet’s “government in exile” and/or the Dalai Lama”, in response to questions from Members of the Senate Foreign Relations Committee. During the US-China Summit held on April 6-7, President Trump did not publicly raise the question of the lack of respect for human rights and the rule of law in China and in Tibet. Since 1997, all US Presidents have publicly challenged the sitting Chinese President to negotiate with the Dalai Lama or his representative to find a lasting solution to the Tibetan issue. If appointed would you commit to publicly raising with Chinese leaders the grievances of the Tibetan people and the need for them to resume dialogue with the Dalai Lama? Do you plan to raise the issue of human rights in Tibet? Yes. I remain deeply concerned about the lack of respect for human rights and rule of law in Tibet. If confirmed, I will urge Chinese authorities to engage in meaningful and direct dialogue with the Dalai Lama and his representatives to lower tensions and resolve differences. I will also call on China to provide meaningful autonomy for Tibetans and cease restrictions on Tibetan religious, linguistic, and cultural practices. I will engage the Chinese government regarding interference in Tibetan religious matters, particularly the selection and education of the reincarnate lamas who lead the faith. Will you commit to explaining to Chinese authorities that the United States will recognize and freely interact with the person chosen independently by Tibetans to succeed the current Dalai Lama, as a way of showing now that the U.S. will not accept a Chinese government-controlled selection process, and of encouraging Tibetans to pursue reincarnation in accordance with traditional practices? It has long been the policy of the U.S. government, provided by the Tibetan Policy Act, to promote a dialogue between the envoys of the Dalai Lama and the Chinese government toward a solution on the Tibet issue that guarantees the respect of the “distinct identity” of the Tibetan people, who continue to suffer under China’s oppressive rule. The dialogue is now at a standstill and, as we have seen, the lack of substantive progress toward a genuine resolution continues to be a thorny issue in U.S.-China relations. Would you personally commit to pressing the Chinese leadership for a resolution of the Tibetan issue through a speedy resumption of dialogue with the Tibetan side, without preconditions? China requires American visitors to get a special permit to visit much of Tibet. American diplomats, journalists and NGOs have a difficult time visiting the region as do Tibetan Americans. Will you commit to ensuring that the Chinese authorities provide access to Tibet for American officials, journalists and citizens, just as Chinese citizens get access to the United States? Will you commit to pressing the Chinese authorities to allow for the opening of a U.S. consulate in Lhasa? I share your concerns about the lack of respect for human rights and rule of law in Tibet. If confirmed, I will urge Chinese authorities to engage in meaningful and direct dialogue with the Dalai Lama and his representatives without preconditions to lower tensions and resolve differences. I will also call on China to provide meaningful autonomy for Tibetans and cease restrictions on Tibetan religious, linguistic, and cultural practices. I will engage the Chinese government regarding interference in Tibetan religious matters, particularly the selection and education of the reincarnate lamas who lead the faith. If confirmed, I will continue to raise concerns about the lack of regular access to the Tibetan Autonomous Region (TAR) for Mission China personnel, journalists, academics, and others. China’s refusal to grant regular consular access to Americans in the Tibetan Autonomous Region represents a failure by the Chinese government to live up to their international obligations. If confirmed, I will also continue to press the Chinese government to allow for the option to open a U.S. Consulate in Lhasa. Will you commit to urging all visiting Cabinet members and Members of Congress to raise individual human rights cases or issues in China—with specific and meaningful asks—with their Chinese counterparts? Yes. If confirmed as Ambassador, I will work tirelessly to press the Chinese government on human rights cases and will encourage others to do so as well. Will you commit to meeting in the United States with exiled dissidents and exiled critics of the Chinese government who cannot travel to China to ensure you have fullest possible perspective on both the human rights situation in China, and on what the U.S. government can do to effect positive change? If confirmed, will you commit to having the first of such meetings prior to departing for post? If confirmed, I am committed to supporting and meeting with civil society organizations and rights activists both in the United States and China.